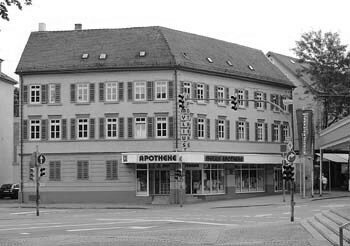 Sophia Scholl was born on May 9, 1921, the daughter of Robert Scholl, the mayor of Forchtenberg. 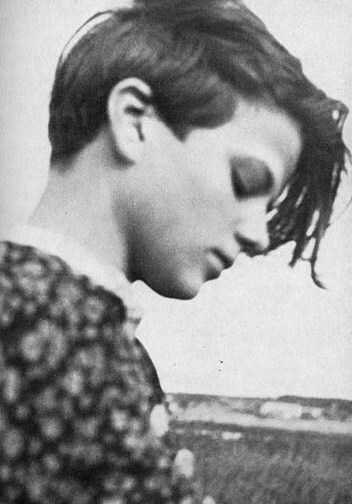 Her full name was Sophia Magdalena Scholl. 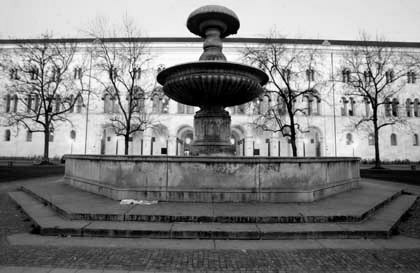 The family lived in Ludwigsburg, Germany from the summer of 1930 till spring of 1932, after which they moved to Ulm and finally to Munich where Sophie attended a secondary school for girls. At the age of twelve, she was required to join the Bund Deutscher Mädel (League of German Girls) as most young women at the time, but her initial enthusiasm gradually gave way to strong criticism. She was aware of the dissenting political views of her father, of friends, and also of some of her teachers. Political attitude had become an essential criterion in her choice of friends. The arrest of her brothers and friends in 1937 for participating in the German Youth Movement left a strong impression on her. After leaving school in 1940 Sophie became a kindergarten teacher at the Frobel Institute in Ulm-Soflingen. She had chosen this kindergarten job hoping that it would be recognized as an alternate service to 'Reichsarbeitsdienst' (National Labour Service), a prerequisite to be admitted to the University. However this was mistake as policy dictated that she had to serve six months of auxiliary war service as a nursery teacher in Blumberg. The military-like regimen of the Labour Service which caused her to change her views of National Socialism and eventually practice passive resistance. In May 1942, she would finally enrol at the University of Munich as a student of biology and philosophy. 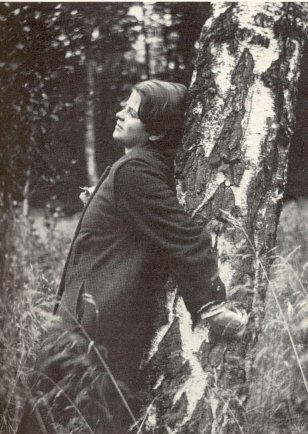 Her brother Hans Scholl, who was studying medicine there, introduced her to his friends. Hans spent two years in the military, and was a medic serving on the Eastern front, along with with friends; Alexander Schmorell, Will Graf and Jurgen Wittenstein in 1942. Although this group of friends were eventually known for their political affairs, they were initially drawn together by a shared love of art, music, literature, philosophy and theology. Hiking in the mountains, skiing and swimming were also of importance. They often attended concerts, plays and lectures together. In the summer of 1942, the friends began to question and resist the principals and policies of the Nazi regime. The group decided to adopt the strategy of passive resistance that was being used by students fighting against racial discrimination in the United States. This included publishing leaflets calling for the restoration of democracy and social justice. These were distributed throughout central Germany and the Gestapo soon became aware of the group's activities. The group co-authored six anti-Nazi Third Reich political resistance leaflets. Calling themselves the White Rose, they instructed Germans to passively resist the Nazis. They had been horrified by the behaviour of the Germans on the Eastern Front where they had witnessed a group of naked Jews being shot in a pit. The core of the White Rose consisted of students; Hans Scholl, Alex Schmorell, Willi Graf, and Christoph Probst, all in their early twenties. Also members were Hans and Sophie's sister Inge Scholl, and a professor of philosophy, Kurt Huber. Sophie also joined the group, however contrary to popular belief, she was not a co-author of the articles. Her brother had been initially keen to keep her ignorant of their activities, but once she discovered his activities, she joined him and proved invaluable to the group: as a female, her chances of being randomly stopped by the SS were much smaller. Between June 1942 and February 1943, they prepared and distributed six different leaflets, in which they called for the active opposition of the German people to Nazi oppression and tyranny. Several of the group members had been deployed to the Eastern Front for military service during the academic break. In late fall the men returned and the White Rose resumed its resistance activities. In January 1943, using a hand-operated duplicating machine, the group is thought to have produced between 6,000 and 9,000 copies of their fifth leaflet, "Appeal to all Germans! ", which was distributed via courier runs to many cities (where they were mailed). Copies appeared in Stuttgart, Cologne, Vienna, Freiburg, Chemnitz, Hamburg and Berlin. Composed by Hans Scholl with improvements by Huber, the leaflet warned that Hitler was leading Germany into the abyss; with the gathering might of the Allies, defeat was now certain. The reader was urged to "Support the resistance movement!" in the struggle for "Freedom of speech, freedom of religion, and protection of the individual citizen from the arbitrary action of criminal dictator-states". These were the principles that would form "the foundations of the new Europe". Huber drafted the final two leaflets. A draft of a seventh leaflet, written by Christoph Probst, was found in the possession of Hans Scholl at the time of his arrest by the Gestapo, who destroyed it. The leaflets caused a sensation, and the Gestapo initiated an intensive search for the publishers. On February 18, 1943, the Scholl's brought a suitcase full of leaflets to the university. They hurriedly dropped stacks of copies in the empty corridors for students to find when they flooded out of lecture rooms. Leaving before the class break, the Scholl's noticed that some copies remained in the suitcase and decided it would be a pity not to distribute them. They returned to the atrium and climbed the staircase to the top floor, and Sophie flung the last remaining leaflets into the air. This frantic action was observed by the custodian Jakob Schmid. The police were called and Hans and Sophie were taken into Gestapo custody. The other active members were soon arrested, and the group and everyone associated with them were interrogated and charged with treason. In the People's Court before the notorious Judge Roland Freisler on February 21, 1943, Scholl was recorded as saying "Somebody, after all, had to make a start. What we wrote and said is also believed by many others. They just do not dare express themselves as we did." Scholl and her brother's defiance, in the face of terrifying consequences, gained them enormous admiration. Grave of Hans Scholl, Sophie Scholl, and Christoph Probst, in the Perlacher Friedhof, next to the Stadelheim prison in Munich. On February 22, 1943, Sophie Scholl, her brother Hans and their friend Christoph Probst were found guilty and condemned to death. They were all beheaded by executioner Johann Reichhart in Munich's Stadelheim Prison only a few hours later at 17:00. The execution was supervised by Dr. Walter Roemer who was the enforcement chief of the Munich district court. Prison officials emphasized the courage with which she walked to her execution. Her last words were "Die Sonne scheint noch"—"The sun still shines." DeVita, James "The Silenced" HarperCollins, 2006. YA novel inspired by Sophie Scholl and The White Rose.